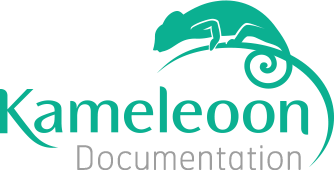 Before launching your web personalization, you must be logged in to your personal account at https://back-office.kameleoon.com. When you create your personalization, you should already know precisely which segment will see it. For further information about segment creation, please read our article Setting up segments. On your homepage, on the “Personalization” part, you can choose to view the list of your web personalizations or to create a new one. You can also create a new personalization from the dashboard. Click on the “New personalization” button on the top of the page to create a new web personalization. A new pop-in opens : it will allow you to indicate the name of your personalization and, if you have several website set up, to choose your on which website you want to launch your personalization. The name of your personalization will appear here. You can also add a description and one or several tags. This will help you to find quickly your personalization. Tip: giving tags to your personalization will help you find them in your dashboard. The amount of personalizations launched can quickly become important so we highly recommend to use tags to fin them easily. You must select the segment that will be exposed to your personalization. Click on "Choose existing segment" to display the list of segments. If you have not created your segment yet, click on "Add a new segment" to open the segment builder. For further information about segment creation, please read our article Setting up segments. There are three ways to create a personalization: inside your pages, above your pages or via an email. Create your web personalization above your pages allows you to add a pop-in, a sticky block or widgets. For further information about this type of personalization, please read our articles Display your personalization above your pages or Widgets. Create your web personalization via an e-mail allows you to send an email to your segment. Warning: this is a bêta version. An update will be released shortly. Note: you can only create one web personalization at once. Therefore it is not possible to add a pop-in and a sticky block or a pop-in and a variation from the editor in the same web personalization. You can select as many goals as you want to associate them with your personalization. If you select several goals, one of them must be defined as the main goal. If you have not created your goal yet, click on "Create a new goal" to open the goal creation page. For further information about goal creation, you can read the article Setting up goals. Select the reporting tools with which you want to see the results of your personalization. By default, Kameleoon is already set up as reporting tool. To set up your web personalization more precisely, other options are available. For further information about options, please read the article Personalization options. Save personalization: saves a draft of your personalization. You will find it in your page “My persos”. Simulate personalization: opens the simulation mode, allowing you to check on your personalization before activating it on your website. For further information about simulation, please read our article Simulating a personalization. Activate: launches the personalization. Once the personalization activated, you will find it in your page “Mes persos”.